If you live in London, I encourage you to drop by the V&A to check out two garments, a shawl and a cape, woven entirely from spider silk. 1.2 million Golden Orb spiders were employed to create the beautiful cape on display. 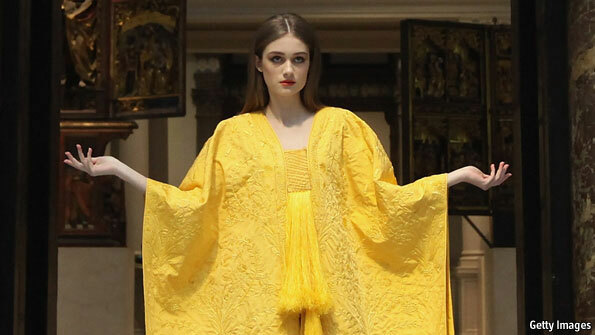 The cape itself is not dyed; the golden color is the natural hue of the spider’s silk. The garment took over 3 years to produce and 80 people to weave and embroider. The project was the brainchild of American fashion designer Nicholas Godley and British art historian and textile expert Simon Peers.